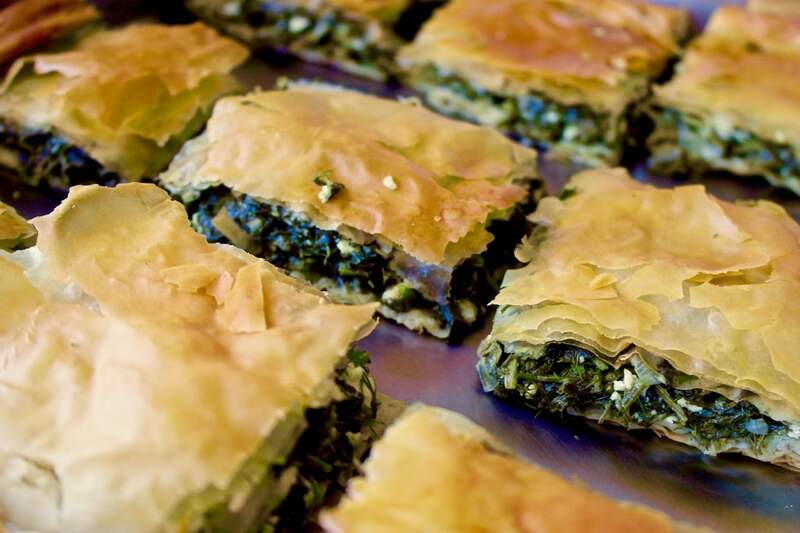 Researchers agree that there is a very strong link between food and mood. 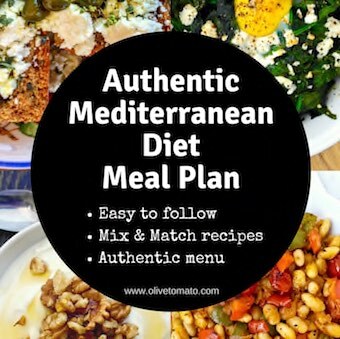 In the past few years we have seen several studies showing that following a Mediterranean diet can reduce symptoms of depression. 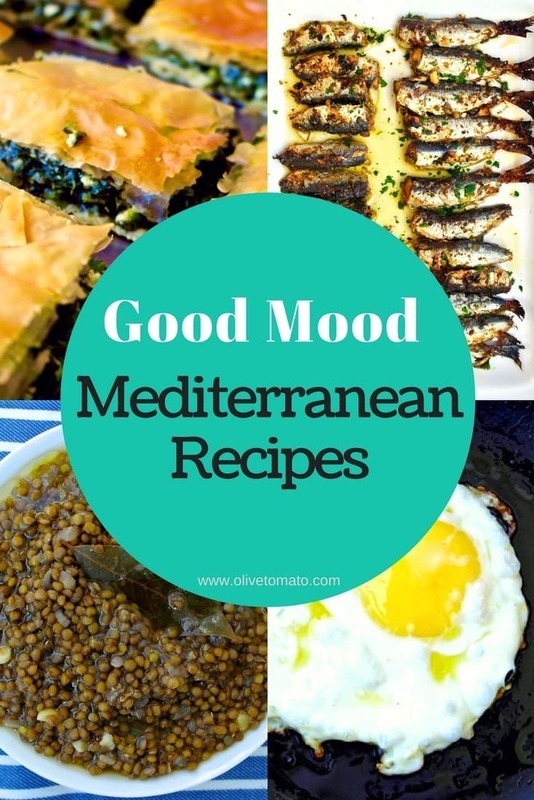 And if you are following a Mediterranean style diet, you are less likely to develop depressive symptoms in the first place. Certain nutrients are associated with better mood including omega-3 fatty acids, vitamin B12, zinc, probiotics and others. 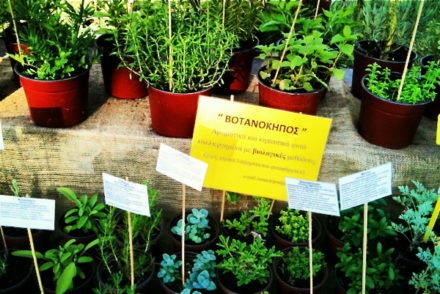 In addition, we know that processed foods and junk food is associated with negative moods. While a good diet will not magically transform you, the research does show that it plays an important role in your mood and how we react to stress. 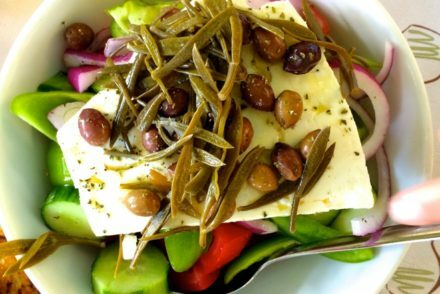 Here are 5 Mediterranean dishes that incorporate those nutrients for better psychological health. 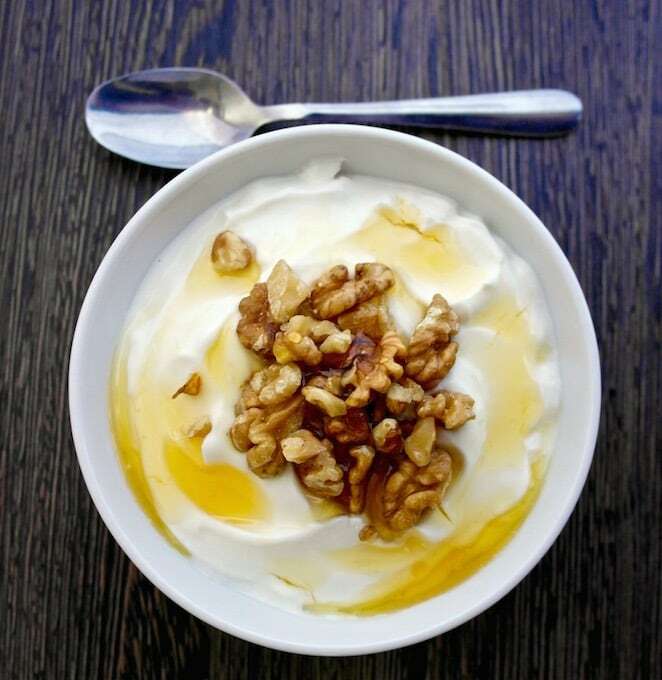 Greek yogurt is a great source of probiotics. Probiotics are bacteria that are known to have health benefits. Studies have shown that probiotics may also improve depressive symptoms. 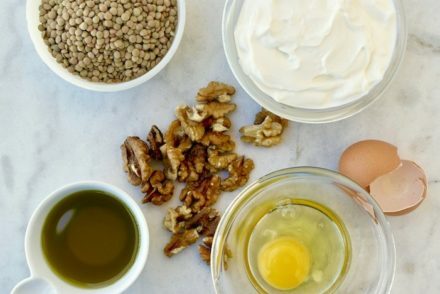 By adding walnuts to your creamy, probiotic yogurt you get another benefit: omega-3 fatty acids which have been associated with lessening the symptoms of depression. 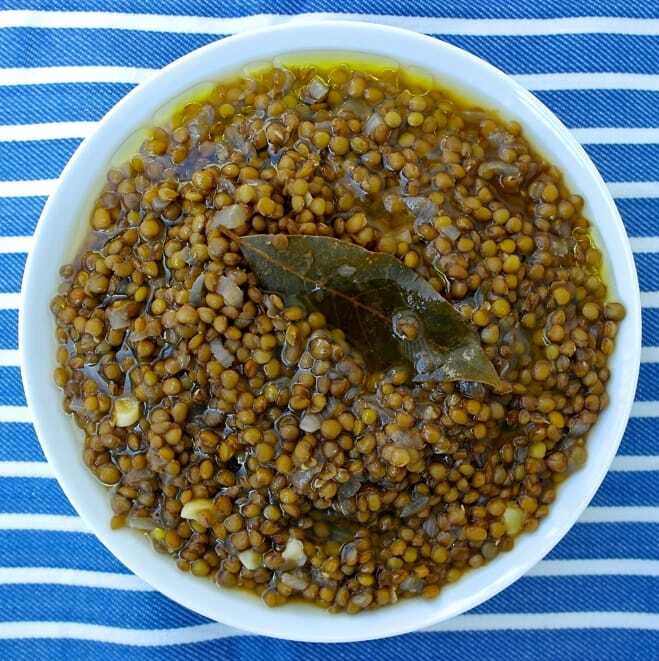 In addition, they are a source of polyphenols (antioxidants), folate and vitamin E, all good for your heart. 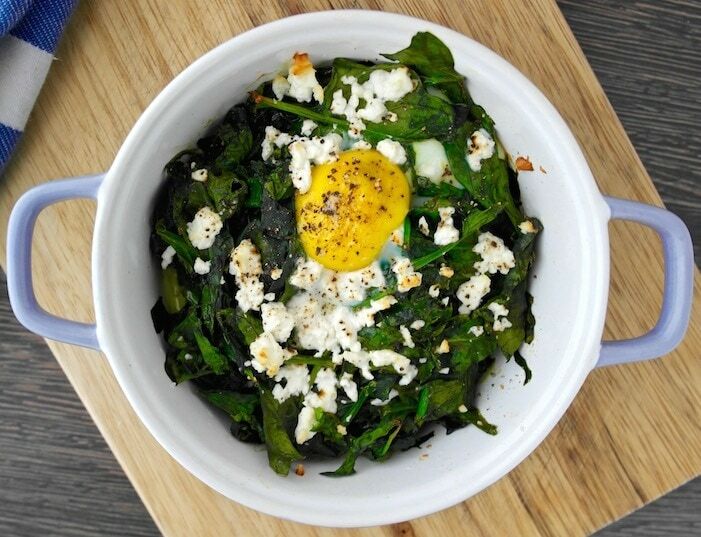 I like the idea of the baked egg and spinach dish, thanks for sharing. 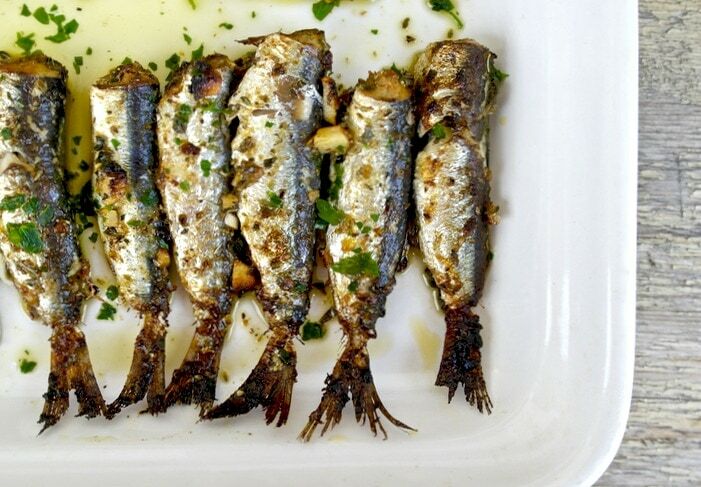 I also like sardines but my husband can’t stand the taste or smell of them cooking unfortunately, lol. Thanks Eva. You can also consume other fatty fish such as salmon. 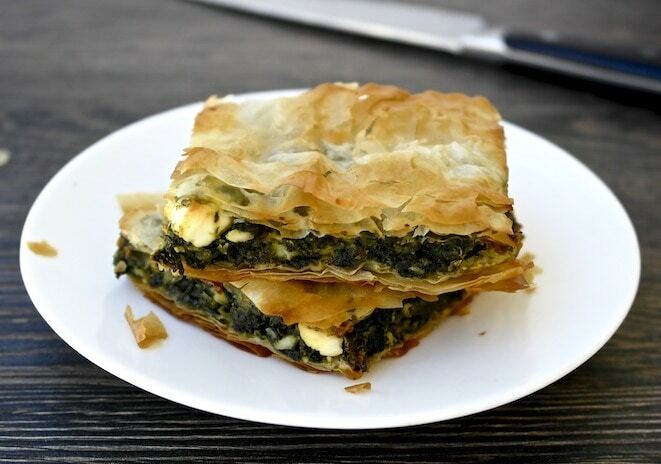 thank you for all of these, I love all of these flavors, the spinach pie is one of my favorites, have only had it in a restaurant so thank you for the recipe, I wouldn’t otherwise know where to begin!